Great-grand-mother’s house which has old starage house. 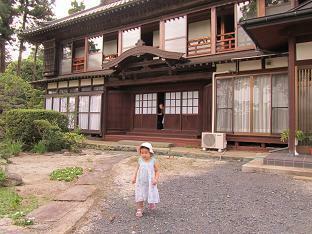 We visited Youka’s great-grand-mother’s house (We call her P-chan. 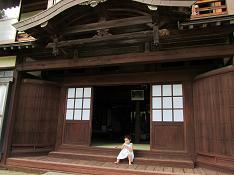 )in Tohoku area. 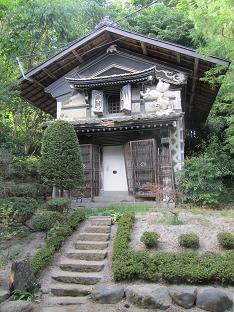 The house was built around the end of the Edo period. 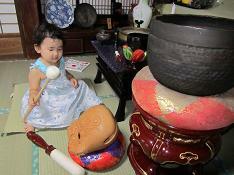 There are many interesting toys (?) for Youka in her house. An old storage house that stands behind the house is broken because of the huge earthquake they had a few years ago.This strage house was, however, introduced in some books and newspapers. 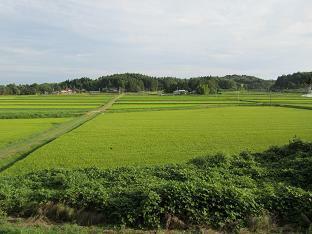 Those rice paddies are like a sea of grasses. Cicada sang as if they were singing along with the sound of a wind bell.